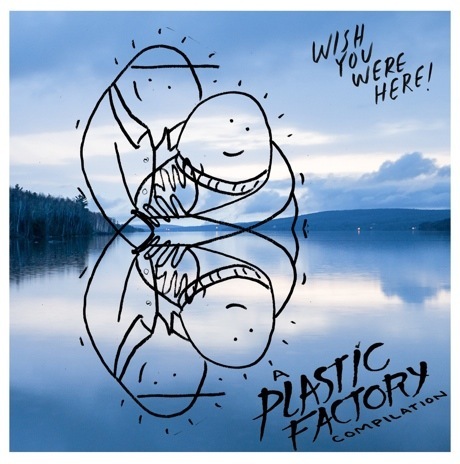 The Plastic Factory Record Company launched earlier this year with an album from Halifax's Nap Eyes, and now the Montreal label has shared a 20-song compilation called Meet the Factory, featuring a slew of noteworthy indie acts. Nap Eyes are included here, naturally, as are Monomyth, Mozart's Sister, Homeshake, Freak Heat Waves, Sheer Agony, Play Guitar, Freelove Fenner, Each Other and more. An announcement said this of the comp: "Settlers and transients from Nova Scotia, Florida, BC and everywhere in between represent the tip of the iceberg, exposing only in part a network of pals and buds gushing with mutual respect throughout North America." You can buy the album now digitally via Bandcamp, and pick up the vinyl over here. Scroll past the tracklist below to listen. The label will celebrate this new release with a launch party at Montreal's Drones Club on August 23. Homeshake, Real Life, Play Guitar and Jerry Paper are on the bill. 1. Homeshake - "I Don't Play"
2. Andy Boay - "Nightmare"
3. Freak Heat Waves - "Cradle of Fear"
4. Monomyth - "13th Floor"
5. Sheer Agony - "Those Who Wait"
6. Nap Eyes - "Barrels"
7. Hand Cream - "OK OK OK"
8. Freelove Fenner - "Ursula Major"
9. Un Blonde - "For No Reason"
10. Play Guitar - "What's Good Is Easy to Get"
11. Fake Buildings - "Matador Records"
12. Brave Radar - "Driver One"
13. Eola - "Hibernia at Dawn"
14. Each Other - "Buyer Be Brave"
15. Special Noise - "Shopping"
17. Tonkapuma - "Fake It"
18. Mozart's Sister - "Girl Behind the Counter"
19. People Tanning - "Speak Empty to Me"